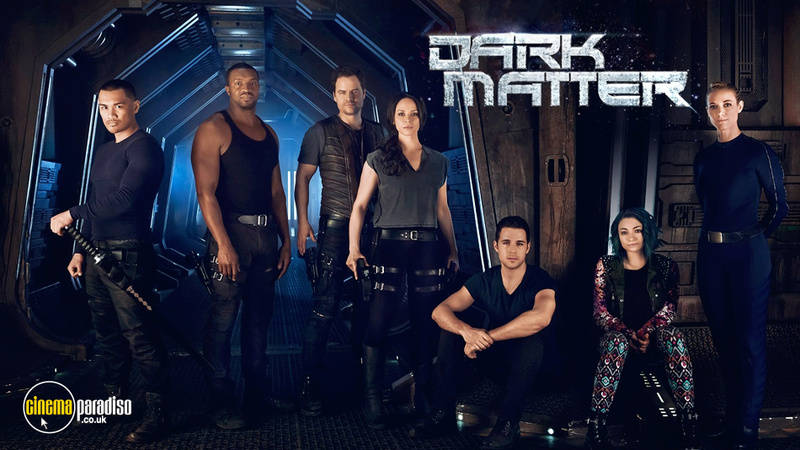 Dark Matter is a Canadian drama science-fiction thriller TV series featuring the total of six people who one day wake up in the midst of an abandoned spaceship. Once awake, they soon find out they all suffer from an unexplainable amnesia and partner together to get clues for their unusual condition and the place they found themselves in. The show features Melissa O'Neil, Anthony Lemke and Alex Mallari Jr. among other actors. Marc Bendavid, Alexandra Ordolis, Melissa O'Neil, Anthony Lemke, Alex Mallari Jr., Jodelle Ferland, Roger Julian Cross, Zoie Palmer, Melanie Liburd, Rob Stewart, Shaun Sipos, Chloe Rose, Franka Potente, Amanda Brugel, Andrew Moodie, David Richmond-Peck, et al. When the six-person crew of a derelict spaceship awaken from stasis in the farthest reaches of space their memories have been wiped clean and they have no recollection of who they are or how they got on board. The mysteries of their respective pasts take them on a far reaching journey. Hounded by the galactic authorities, their former employers, ruthless corporations, rivals, bounty hunters, and former enemies - they'll have only each other to rely upon. All the while, the clock is ticking because there is a traitor in their midst, a mole who orchestrated their communal mind-wipe...But ultimately this series is about Nature vs Nurture and redemption. Are people born bad or are they a product of their environment? And, more importantly, once they've followed a certain path, is there any turning back? With non stop action and spectacular visual effects, 'Dark Matter' is from the writers-producers of 'Stargate' and based on the graphic novel of the same name. The crew of the Raza, a derelict spaceship, is awakened from stasis with no memories of who they are or how they got on board. Facing threats at every turn - and the realisation that they were wanted criminals pre-amnesia - they have to work together to survive a voyage charged with vengeance, betrayal and hidden secrets, while also facing questions of Nature vs Nurture, identity and rehabilitation. In Season Two, the crew of the Raza find themselves prisoners on the Hyperion-8 Maximum Security Galactic Detention Facility. They are soon embroiled in an intergalactic conspiracy, seeking a mysterious device that may hold the key to victory in a looming all-out corporate war. Following Season Two's explosive finale, the scattered survivors of EOS-7 battle to regroup amidst the backdrop of corporate war. Ryo Ishida, now emperor of Zairon, makes an enemy of his former allies while the past comes back to haunt the crew of the Raza.